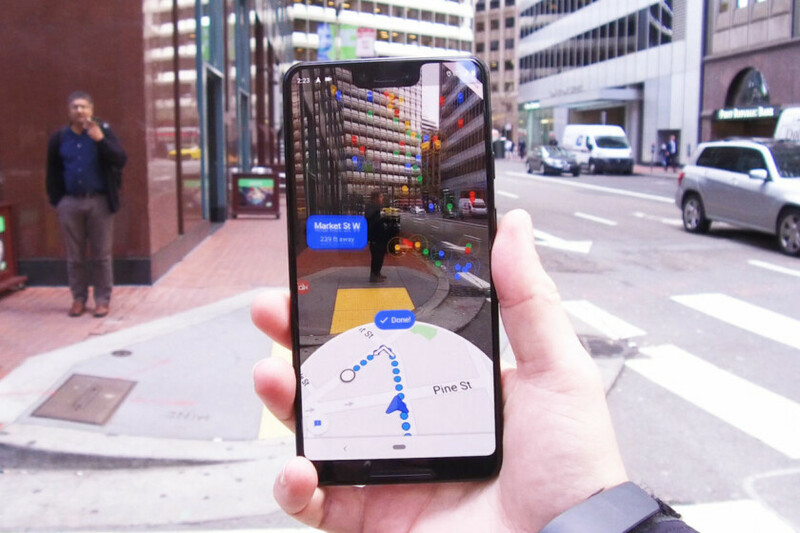 At the Google I/O 2018, the company teased how Google Maps can leverage the camera to overlay walking directions and business listings for an Augmented Reality (AR) experience via its new Visual Positioning System (VPS). Essentially, when your GPS is not enough, VPS will use your phone’s camera and Google’s extensive back-end data to analyze your surroundings to estimate your precise position and orientation to identify where you are with greater accuracy. There has been no word on this since then, but earlier today, The Wall Street Journal shared the first look of the upcoming AR navigation feature. In this demoed version of Google Maps, there is a new “Start AR” option alongside the traditional “Directions”. Once you tap on it, the map is replaced by a real-time view of the world around you along with the traditional overhead map. Next Potential LG G8 ThinQ price leak: Will you be paying $900 for upcoming flagship?